Black eyes can be caused by accidents, nasal and face injuries, allergic reactions, dental infections, cosmetic surgery, bug bites, skin infections, or from fighting. 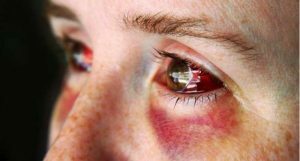 When suffering from black eyes, blood pools around the affected area and the skin may change color from red, purple, or black. Symptoms include pain, swelling, inability to move the eye, blurry vision, and headaches. Usually healing in 14 – 20 days, consult your doctor immediately if there is a cut on the skin around eye, serious internal injury to the head, eyes, or any other facial p2arts, or if you’re having any symptoms like nausea, dizziness, vomiting, or vision problems like loss of sight, double vision, or increased sensitivity to light. If you are not experiencing any of these serious symptoms, try these natural home remedies and tips to prevent the pain, swelling, and black eye effectively. After being injured, apply a cold compress to the affected area to constrict the blood vessels and stop internal bleeding below the skin. Ice numbs pain, inflammation, and swelling. Do not apply the ice directly to the skin. Wrap ice cubes in a clean cloth or use a bag of frozen vegetables. Apply to the affected area for 10 minutes. Repeat every 1 – 2 hours for 1 – 2 days. After applying a cold compress for 1 – 2 days, follow up with a warm compress to increase blood circulation to the damaged blood vessels. Soak a clean cloth in warm water and squeeze out excess water. Repeat every 1 – 2 hours until healed. If you do not have pain massage the affected area gently with warm cloth. Note: Do not wash eyes with hot water and do not use heating pad to treat black eyes. Comfrey root extract is used by herbalists for treating many skin problems. This extract contains small organic molecule allantoin that stimulates cell growth, repairs skin effectively, and reduces inflammation. Mix comfrey root and water to make a paste. Apply around the affected area. Leave for 5 – 10 minutes and rinse with water. Boil comfrey root and water for 5 – 7 minutes. Potatoes have certain enzymes that disperse old blood from bruises. Regular application of potato slices or juice reduce swelling and pain. Cut a potato into thick slices. Place them on the affected area until the slices are no longer cold. Note: Alternately use chilled tea bags or cucumber slices, if desired. Grate a potato to extract the juice. Apply the juice to the affected area using a cotton ball. Arnica is an effective herbal remedy traditionally used to treat sprains, strains, bruises, muscle soreness, swelling, and inflammation. It has anti-inflammatory properties which stimulate white blood cells to fight against infection, thus eliminating congested blood and fluid causing inflammation. Although there is an arnica homeopathic cream readily available in health stores, you can make arnica oil or salve. Combine dried arnica and any plant oil like olive oil in a covered container for 6 weeks. Shake the jar daily to mix well. After 6 weeks, strain the oil and place the mixture in a double broiler. Warm for few minutes and add beeswax. Stir continuously until it melts and then add wintergreen oil. Warm it for 5 minutes. Pour salve into storage container and let cool. Apply to the affected area 2 – 3 times daily. Note: pregnant, nursing women and children should not use arnica. Hard boiled egg is an ancient treatment for bruising. Boil eggs in hot water. When hard boiled, peel the shell from the eggs. Roll egg over closed eyes and surrounding skin until egg is cool. Once it gets cool boil the egg again and roll over the affected are. Continue until the applied egg becomes black. Using a cayenne pepper and Vaseline is a popular Chinese and Taiwanese remedy for treating black eyes. The hot pepper contains capsaicin which reduces pain and bruising. Mix cayenne pepper and Vaseline. Apply to the affected area, avoid the eye completely. Leave for 30 – 45 minutes. Remove using a wet wipe or cotton ball. Witch hazel soothes and heals black eyes effectively as this plant is traditionally used by American Indians for treating medicinal problems. Witch hazel extract is meant to cure sores, swelling, bruises, and darkness on the skin. This reduces pain and inflammation by tightening the veins. It also refreshes tired eyes and prevents darkness around the eye. Mix witch hazel extract and water. Add chamomile oil, if desired. Dip a cotton ball in a solution and then squeeze excess solution. Apply to the affected area using a cotton ball. Massage relieves inflammation and promotes blood circulation, thus improving the skin. Effective oils include olive, tea tree, coconut, and vitamin E.
Use clean hands to apply the oil to the affected area. Apply any oil to the affected area and gently massage for 3 – 5 minutes until the oil is absorbed into the skin. Calendula or marigold reduces inflammation and promotes quick healing. It also reduces swelling and bruising. Place a handful of calendula petals in hot water and steep for 10 – 15 minutes. Refrigerate for 30 – 45 minutes. Place in a clean wash cloth and soak in cool water. Apply to the affected area for 5 – 7 minutes. Oatmeal soothes the affected area and reduces pain and swelling. Soak oatmeal in warm water. Massage the affected area with the oatmeal for 10 – 15 minutes. Apply vitamin E oil and gently massage the affected area until absorbed into the skin. Then gently massage this around the black eye for about 10 – 15 minutes. Repeat three times daily to treat black eyes. Bloodroot is an herb traditionally used by North Americans for various medicinal purposes including skin diseases, tumors, and warts. Bloodroot contains anesthetic, anti-bacterial, antioxidant, anti-inflammatory, and antiseptic properties that relieve black eyes. Note: bloodroot contains opium-like alkaloids which causes mucous membrane irritation. An overdose can be fatal. Pregnant and nursing women should not use bloodroot. Bloodroot is not edible and should not be ingested. Prolonged usage of bloodroot is not recommended. Mix bloodroot powder and water. Apply to the affected area while avoiding the eyes completely. Repeat daily for one week for best results. Elevate the head for the first 24 hours after getting a black eye prevent swelling. This will limit the blood flow to the sensitive area and reduce pain. Use extra pillows under the head to keep it elevated while sleeping. A proper diet is a great defense against black eye. Below are suggested foods to assist in preventing and healing black eyes. Vitamin K contains anti-oxidants and accelerates blood circulation. Many studies have found that vitamin K helps reduce pigmentation and repairs blood vessels and damaged capillaries. Foods high in vitamin K include: Brussels sprouts, spring onions, prunes, cabbage, cucumber, asparagus, broccoli, chili powder, paprika, cayenne, curry, and dark leafy vegetables like dandelion greens, cress, mustard greens, kale, spinach, turnip greens, beet greens, lettuce, and Swiss chard. Vitamin C produces collagen which is broken down when experiencing a black eye. Vitamin C deficiency can cause black eyes on its own. Breakdown in collagen in blood vessels will lead to bleeding. Without vitamin C, blood vessels become thin and weak, causing them to rupture when even light pressure is applied. Eat food rich in vitamin C or take vitamin C supplements. Foods high in vitamin C include: Indian gooseberry, lemon, orange, red and green bell peppers, chili peppers, kale, broccoli, pineapple, kiwi, mango, cauliflower, papaya, berries, Brussel sprouts, and guava. Pineapple and papaya are rich in vitamin C and anti-oxidants. They contain bromelain which reduces swelling and pain. Consume these fruits for added relief. Avoid rubbing or putting pressure on the eyes to avoid making the problem worse. Refrigerate unpopped popcorn or a metal spoon and apply to the affected area to reduce pain and swelling. Drink lots of water to stay hydrated. This will increase blood circulation by removing toxins from the affected area. Sleep for 7 – 9 hours a day to relive stress and heal the problem. Acetaminophen is a pain reliever that should be taken sparingly as it is a blood thinner. Follow the instructions on the label or consult your doctor. Apply makeup, cover up, or concealer to hide the bruising, if desired. Prevention is always better than finding a cure. Preventive steps include wearing goggles, helmets, seat belts, and proper protective gear. 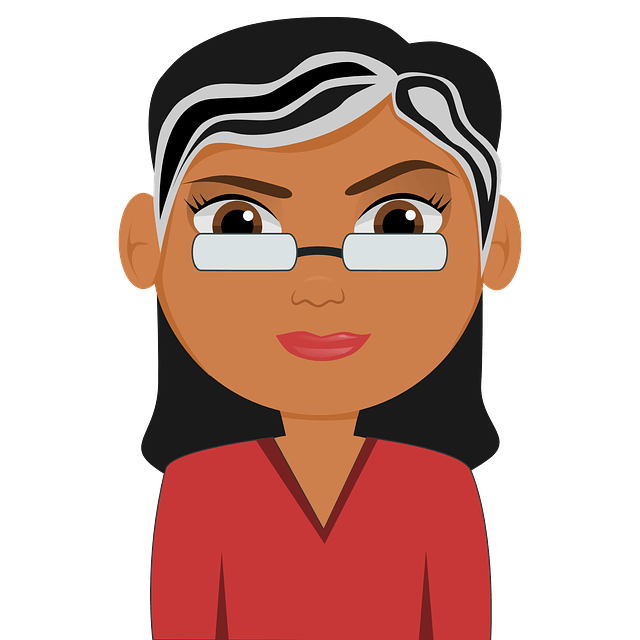 Always wear glasses to protect the eyes from dirt, harmful UV rays, sun exposure, and other impurities. Make sure to consult your doctor if the pain or black eye persists. Have you tried any of these methods? Do you know any other methods to treat black eyes? Share your experience with us! A tray fell on my forehead right above my eyebrow. The area swelled up immediately. I applied ice to it and it has gone down considerably. A few hours later, my eye started to get discolored on the area below my eyebrow. Now the 3rd day is starting and the whole eye is black with a little discoloration on the 2nd eye. It has gotten worse instead of better. Is this normal? I have tried the warm compresses and now the potato slices. My vision is fine and the eye does not hurt. If it hasn’t got better then we recommend consulting a doctor. Very informative article! A black eye is most commonly caused by something hitting the eye or nose. Either one or both eyes may be blackened depending on where you get hit. Black eyes can be treated easily at home by following these steps. Thanks for sharing.